In the Apple's iOS beta 3, we were introduced to a new iCloud Drive feature, an option to disable QuickType, time indicators for Recently Deleted pics, and a way to keep "self-destructing" media. Now, just a few weeks later, iOS 8 beta 4 is out, and we've got several new additions to the Settings menu, a new (un-deletable) app, a better looking Control Center, and more. Get a look at all of the new features below in our hands-on walkthrough of beta 4 for iPad and iPhone. There's a New Stock App Called "Tips"
Hinted about at WWDC, the Tips app has finally made its way to iOS 8. In it, you can scroll through Apple's weekly pointers that can help you navigate through all of iOS 8's new features. As of now, there are only six tips—including short guides on how to use voice messages and the "Hey Siri" feature—but look for that to increase when iOS 8 is released to the public later this year. For more info, check out our detailed walkthrough of Tips. 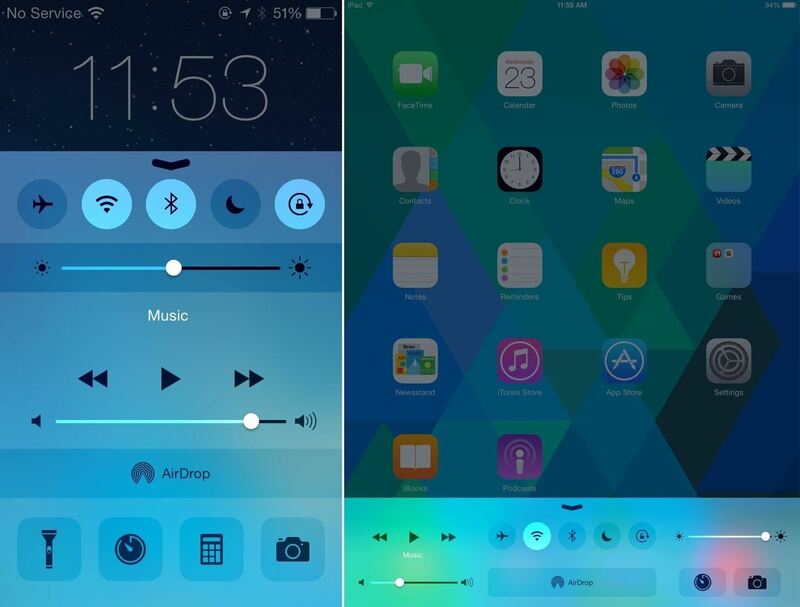 Though not a huge change, the Control Center has been redesigned in iOS 8 with a sleeker look. The thin black outlines of the settings icons have been removed, giving it a much more connected and flowing look. Also, the icons are filled with a whitish shade (instead of being transparent with thin white outlines) when enabled. The new Control Center look for iPhone (left) and iPad (right). 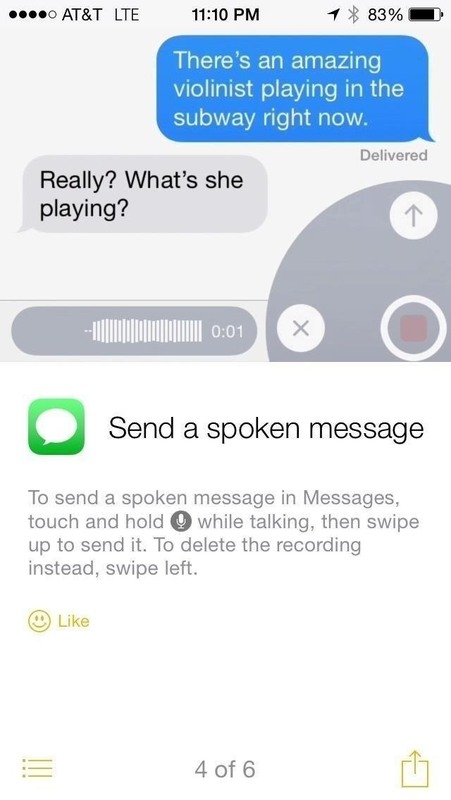 One of the more interesting features included in iOS 8 is the self-destructing audio and video messages, which help to manage storage on your device. 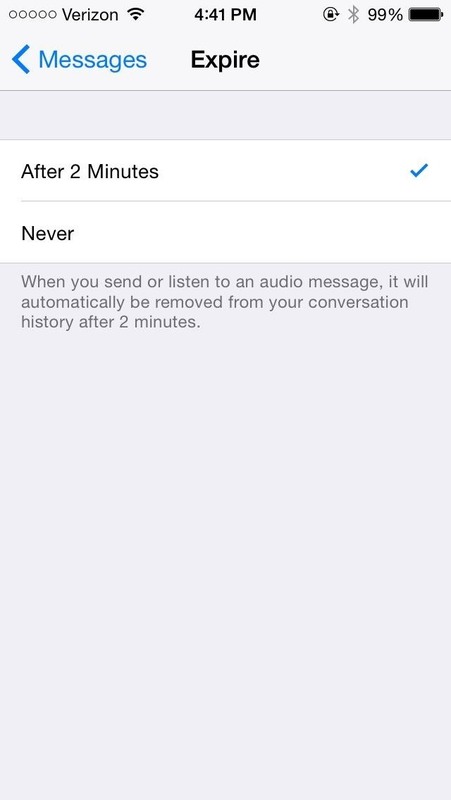 Now, you can set how long you want the messages to last. 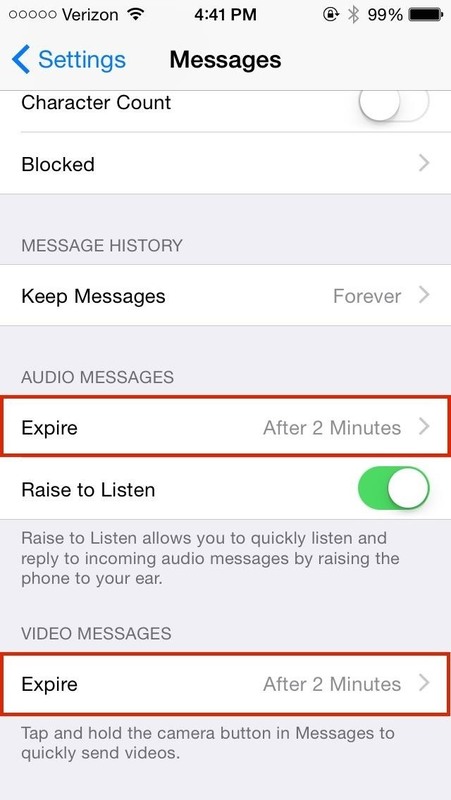 In Settings -> Messages, you can choose to have messages expire after two minutes or not at all. Hopefully they add a few more options for duration in later iOS beta/final builds. 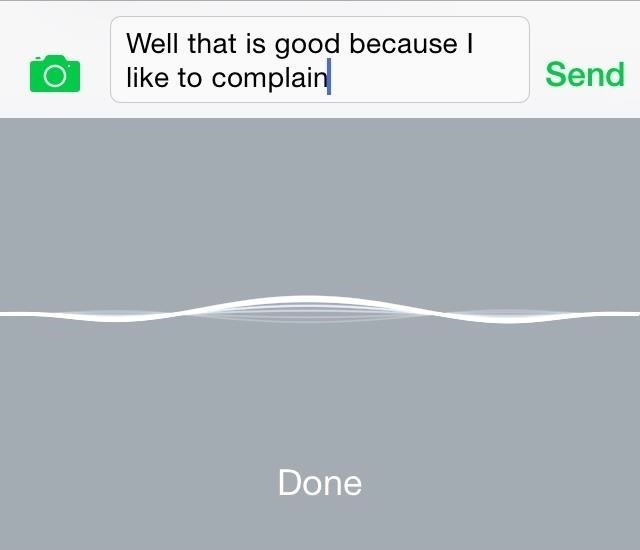 Another new Messages feature is that your speech is now transcribed in real time when using talk-to-type to send text messages, as opposed to waiting until you were finished speaking. 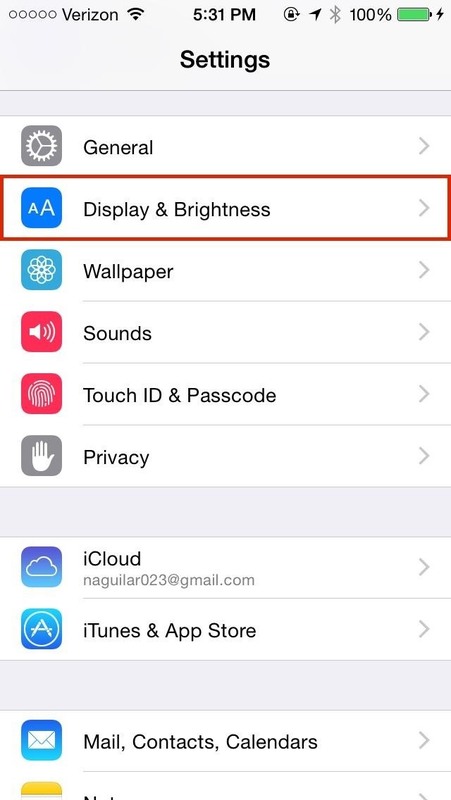 In previous beta builds of iOS 8, we've been able to change the "left triage action" (i.e. the swipe-right menu) to either be Read/Unread or Flag/Unflag. Now, that option has been merged into the new Swipe Options for Mail (found in Settings -> Mail, Contacts, Calendars -> Mail -> Swipe Options). 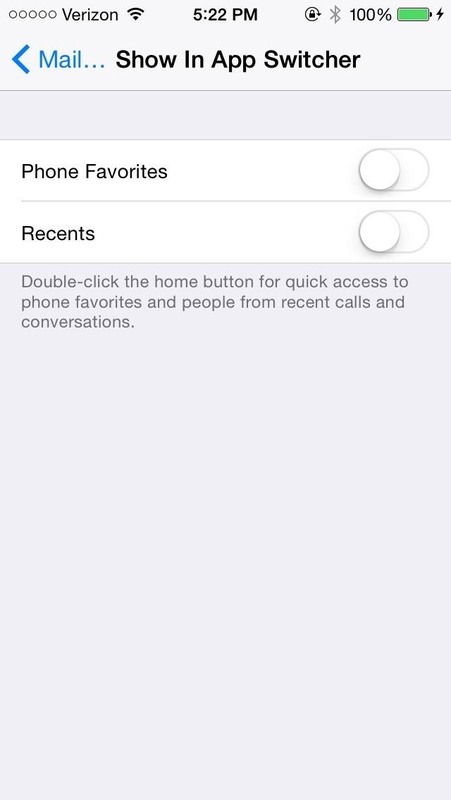 In these new options, you can now change both the right and left swipe menus to do any of the following. 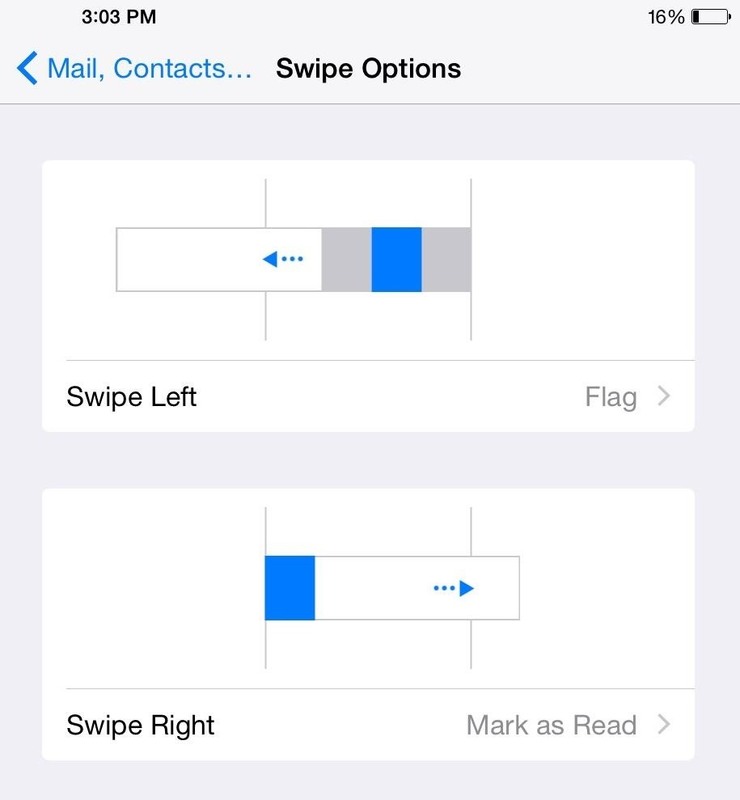 Swipe Right - select either None, Mark as Read, or Flag. iOS 8 brought about a new feature in the app switcher (aka multitasking menu), showing off your most recent contacts as small bubbles at the top of the screen. 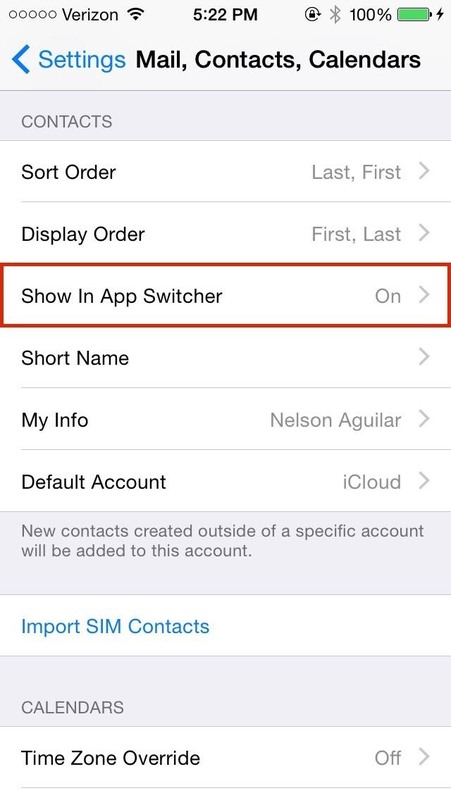 Now, you have the option of disabling the feature in Settings -> Mail, Contacts, Calendars -> Show in App Switcher and un-toggling both Phone Favorites and Recents. Directly below General in the Settings app is a new option called Display & Brightness, which itself has nothing new in it, but which compiles three common settings from three different options menus. 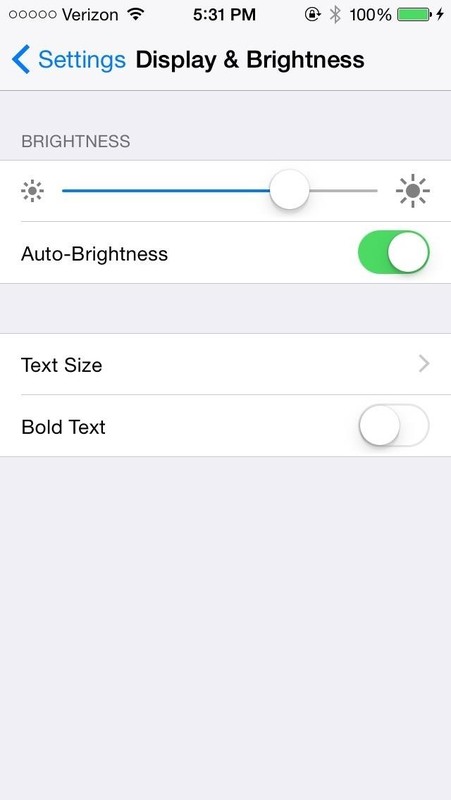 Those settings are Brightness (from "Wallpapers & Brightness"), Text Size (from "General"), and Bold Text (from "Accessibility"). 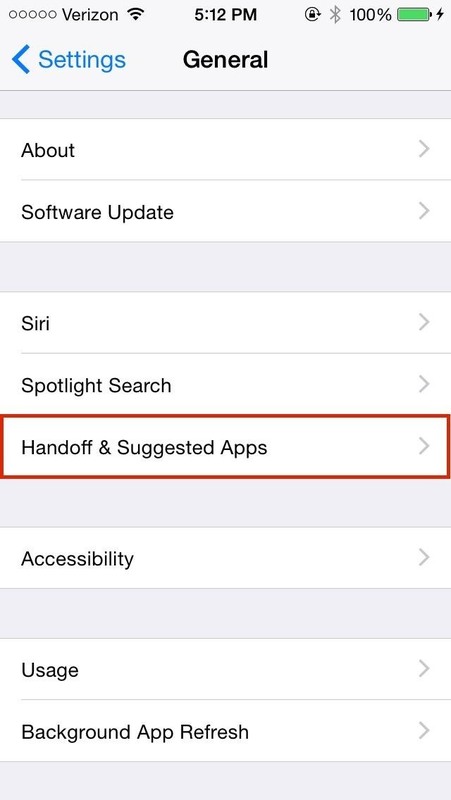 Under General, you can toggle Handoff, which is part of Apple's new Continuity feature that allows you to start something on one device and continue with it on another. 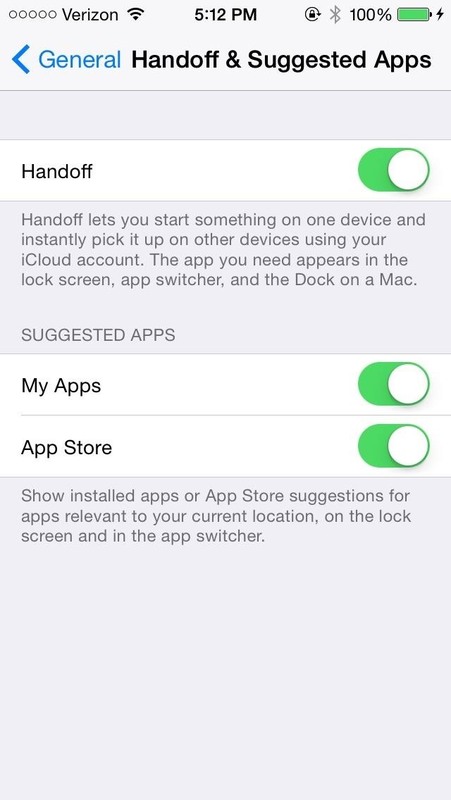 In these same settings, you can also manage My Apps and App Store, which show you app suggestions on your lock screen and app switcher, depending on your current location. 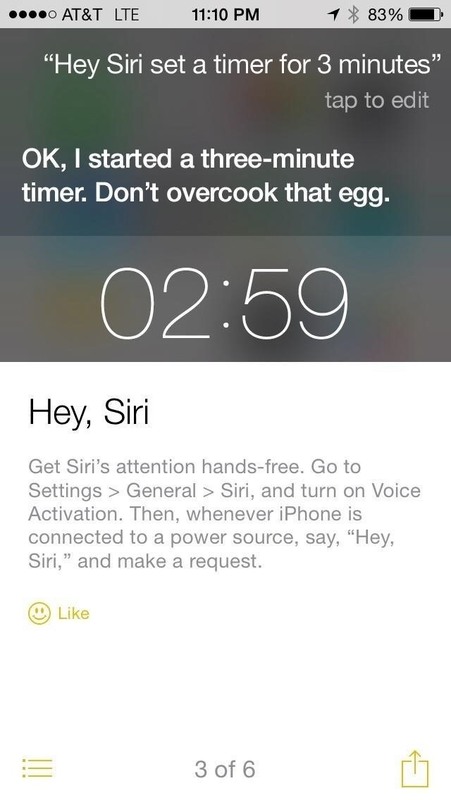 What Else Is New in iOS 8? It may seem like a lot of new stuff, but we're not done yet. Here are the remaining new features iOS 8 beta 4 brought. In Settings -> Privacy, a new Home Data icon has appeared. It monitors which applications request access to your home data. Bug Reporter application has been removed. Icon for bookmarks in Safari has been slightly redesigned. Option to disable QuickType in Keyboard settings has been changed to Predictive. Icon for the Emoji keyboard has been updated. We'll update any new features in iOS 8 beta 4 in the coming days and weeks until the next one drops, so stay tuned.